Pope Francis says he understands the constant danger the Baltic states face, despite Lithuania, Latvia and Estonia having consolidated politically their position in the West. 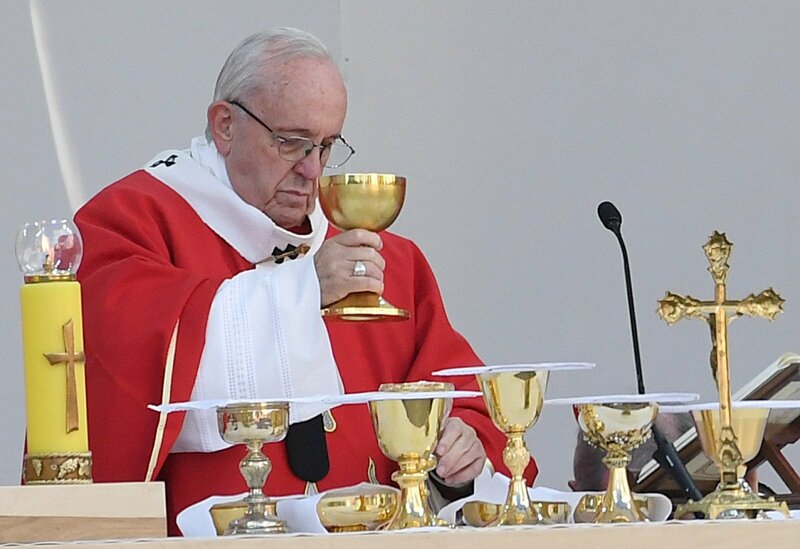 Following a four-day visit to the Baltic states, the head of the Catholic Church said that to be strong, these nations need to go back to their roots, evaluate the tragic history of the Nazi and Soviet invasions and seek dialogue through culture. The Holy Father also acknowledged that his visits to the former Vilnius Ghetto and KGB prison really affected him and made him think a lot about human brutality. The pontiff shared his thoughts with journalists on Tuesday night on the way back to Rome, asked to explain what he meant on Saturday in Vilnius when he invited Lithuania to become a bridge between the East and West. "Obliviously, you are politically part of the West. You are part of the European Union. You put so much effort before joining the EU. After the declaration of independence you diligently completed all the tasks immediately and that was not easy. You managed to join the EU, and that's being part of the West. You are also part of NATO," the pope told journalists on the plane. "But looking to the East, it's also your history, but part of that tragic history came from the West, from the Germans, Polish and especially from the Nazis. And from the East, it came from the Russian Empire," the Holy Father said. "To have that in mind means to be aware that you have to be strong, and strength is not only belonging to the West but also having a strong identity." "I am perfectly aware that the three Baltic states are always in danger. Always. The fear of invasion, the whole history reminds you of that, and you are right to say that it's not easy to be a bridge, but this game is being played every day, through culture, dialogue, but that's not easy. The duty for all of us is to help you. And not just help but be close to you, be close through one's heart," the pope said. The head of the Catholic Church said he knew a number of Lithuanian immigrants in Argentina and called on Lithuanians to follow in their steps in preserving their roots. "I knew nothing about Latvia back in my home country but I knew a number of Lithuanian immigrants. There are really many of them in Argentina. They bring their culture and history they are proud of ... Then they try to integrate into the new country but do that by preserving their identity. Oh, and your holidays! The traditional clothes, traditional songs. They always go back to visit their homeland, when they can. I believe the fight of preserving identity is very fierce. You have a strong identity. The identity that came from sufferings, from the defensive stance, from work, from culture," the pope said. "What can be done to protect one's identity? To go back to one's roots, it's important. It's an old thing but it needs to be handed over. Identity is part of belonging to a nation, and that belonging to a nation needs to be handed over, the roots need to be handed over to the young generation through dialogue between the old and the young. And it needs to be done as your identity is a real treasure. Every identity is a treasure, if seen as belonging to a nation," the pope said. The pontiff also said he heard the Baltic leaders' open but also cautious and well-considered attitude to immigrants. "The message of openness to migrants is well-promoted in you nation. There are no big populist hotspots, both in Estonia and Latvia. These are open nations, willing to integrate immigrants but not on a massive scale as it's difficult to integrate them this way. It can be done through wise management," the pope said. "We spoke about that with the state leaders, and two out of three touched upon these issues. The presidents used the words "acceptance" and "openness" often in their speeches. It reflects the wish for universality to the degree that is possible, having in mind work, space, so that they integrate and do not pose threat to the identity. These are three things I understood and was affected by: openness, caution and careful consideration," he said. 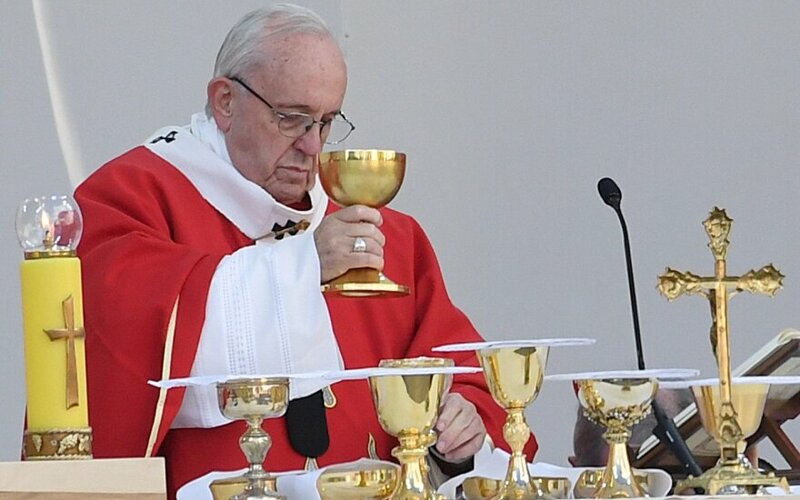 Pope Francis visited Lithuania last weekend and later travelled to Latvia and Estonia. He also honored the memory of victims of the Holocaust and Soviet terror during his visit to Lithuania and called on Lithuanians to spread the message of tolerance to the world, considering their painful history. "I went to the Vilnius Ghetto where thousands of Jews were killed and later that afternoon I visited the memorial for the condemned, killed and deported. On that day, I'm telling you honestly, I was deeply affected, and it made me thing about brutality," Pope Francis said.